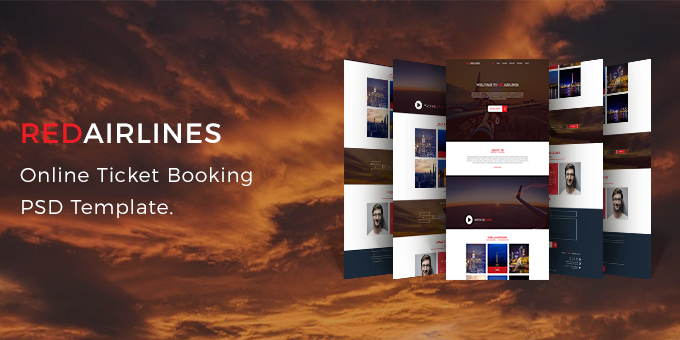 Red Airlines psd template is a modern online air ticket booking PSD template. Its very easy to edit & cutomize. (Google Fonts): Bio Rhyme & Cabin. Pexels. Note: The images are only for preview purpose only. The images are not included in the main download files. ​If you need any help or any kind of customization please feel free to contact me via my CodeGrape profile. We are always here to give you our best & high quality services.